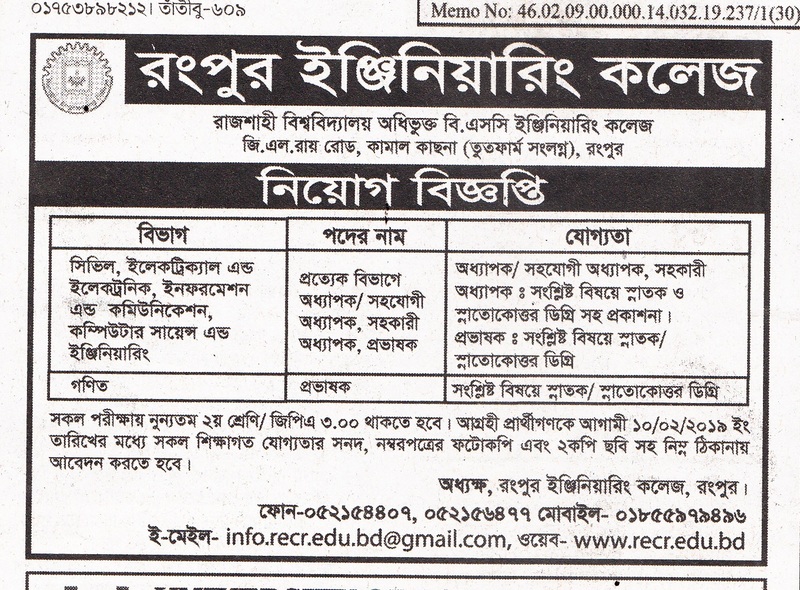 Rangpur Engineering College (REC) was established in the year 2014. 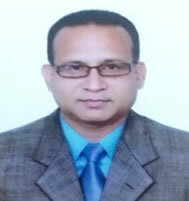 It is affiliated by the University of Rajshahi. It is the First Non-Govt. Engineering College in Rangpur Division. 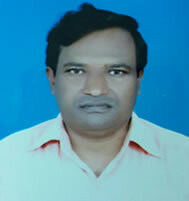 This is the newly based Institute, imparting technical education leading to B.ScEngg. in the various disciplines of Engineering. The campus has an academic sector equipped with modern laboratories and facilities. Then there is the residential area with hostels for both the boys and the girls. 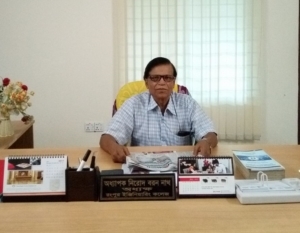 As the principal of Rangpur Engineering College I would like to welcome you to the arena of science, technology, and innovation. Rangpur Engineering College has the resources at your disposal for you to nurture your future life. Come, learn and be successful Engineers. To embark on a journey of success one needs the tools of preparedness, foresight and strategy. These lead to the path of growth and excellence. It is Imperative to Combine these three forces in knowledge assimilation, Where every day every semester acts like a pivot tilting the pan balance of life in favour of professional excellence. I welcome all to Rangpur Engineering College to embark on a journey of success guided by the best faculty in the Industry. 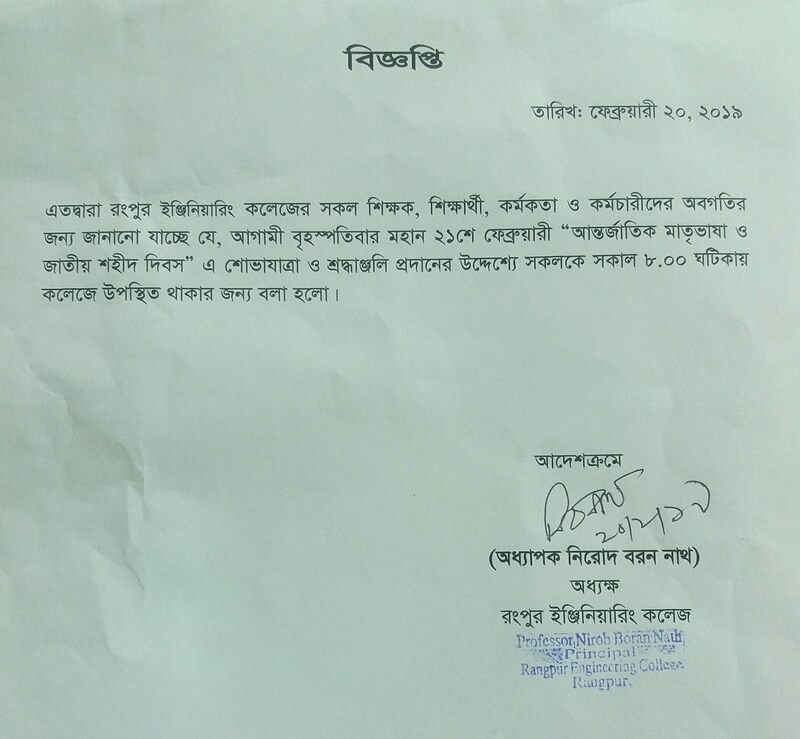 I am very proud to say that Rangpur Engineering College (REC) is playing a vital role to increase higher technical education in North Bengal. So come and join with us and be a smart Engineer.